This pill box is amazing. There are three deep compartments so you can fit a lot of medicine or vitamins for each day. Large pills and vitamins fit easily into each section. The pill boxes are really simple to detach and carry with you. It comes with an extra box which is great for me because I can use it for migraine pills that I take as needed. The rubber lids are very easy to open and close. 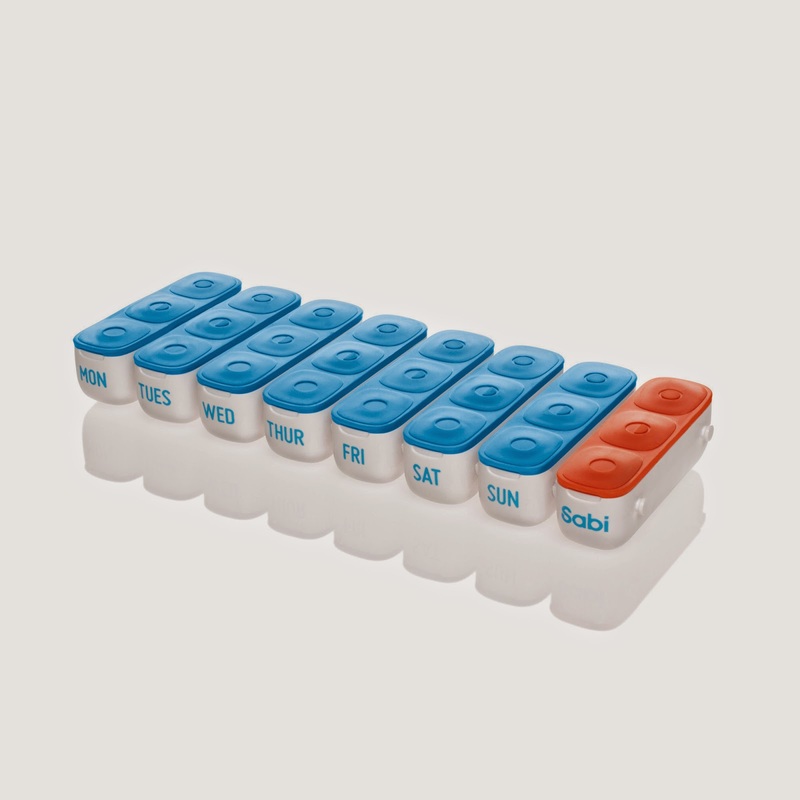 So even those with dexterity issues will find this pill box easy to use. The customer service is very friendly and quickly responds to any concerns you have. I highly recommend this product. I just got excited over a pill box :) I am tired of not everything fitting in one and this is the solution. Great review!